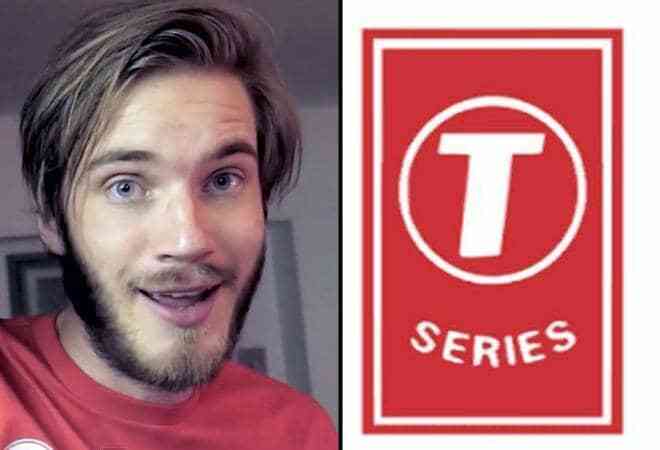 In bad news for music label T-Series, the Indian film production house, after clinching the top spot for a few hours on Thursday, has again lagged behind its rival YouTuber, PewDiPie, in terms of the number of subscribers. T-Series defeated the Swedish YouTuber by getting around 2 lakh more subscribers than PewDiePie but only for a brief period of time. The label had around 90.4 million subscribers around 11am on Thursday, more than PewDiePie's 90.3 million subscriber count. But today around 9.45am, the subscriber count of PewDiePie has gone up to 90,705,588 while T-Series subscribers are settled at 90,688,807. The battle between the two channels is going on for long to bag the title of top YouTube Channel. In fact, T-Series Chairman and Managing Director Bhushan Kumar had started #BharatWins campaign on social media to help him make T-Series the world's most subscribed channel on YouTube. Several Bollywood celebrities had also joined the YouTube battle in support of T-Series and pleaded netizens to subscribe the channel on YouTube. The T-Series opened its YouTube channel on March 13, 2006, and has a total of 29 sub channels. On the other hand, the PewDiePie channel, run by Swedish-born vlogger and gamer Felix Kjellberg who makes comedy videos on YouTube, had maintained its lead throughout 2018. Prominent YouTubers, from MrBeast to Logan Paul, have also voiced their support for PewDiePie. Lately, Kjellberg witnessed flak from several quarters after the culprit in the New Zealand terror attack, in a Facebook video of the massacre, urged netizens to subscribe to PewDiePie. Consequently, PewDiePie faced a decline in the number of subscribers. Following this, Kjeilberg condemned his name being targeted and showed sympathy towards the victims of the attack in a tweet. "My heart and thoughts go out to the victims, families and everyone affected by this tragedy", he tweeted.